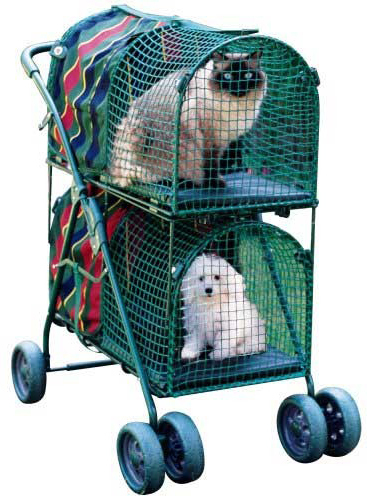 Kittywalk Double Decker Pet Stroller Striped 30" x 16" x 41.5"
Dual removable Carrier Sections, with dual opening doors make it EZ. Double duty as a Portable GroomingTable. Brakes keep it in place; pads, fabric and frame are water resistant; pad and platform make comfy work area. Thick, washable foam pads for your pets travel comfort supplied in each compartment. Large, heavy-duty wheels, for easy maneuverability - complete with locking rear safety brakes. Includes 1/2" thick washable padding. 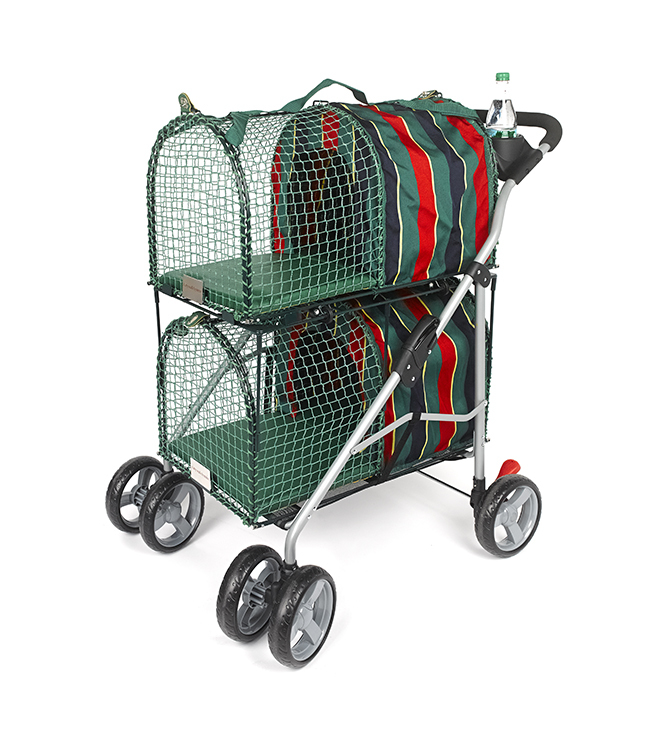 Portable pet carrier: 30" x 16" x 16.5"
Folded for Storage: 29.5" x 19.625" x 9"
Push handle height from the ground: 41.5"
Dimensions: 30" x 16" x 41.5"